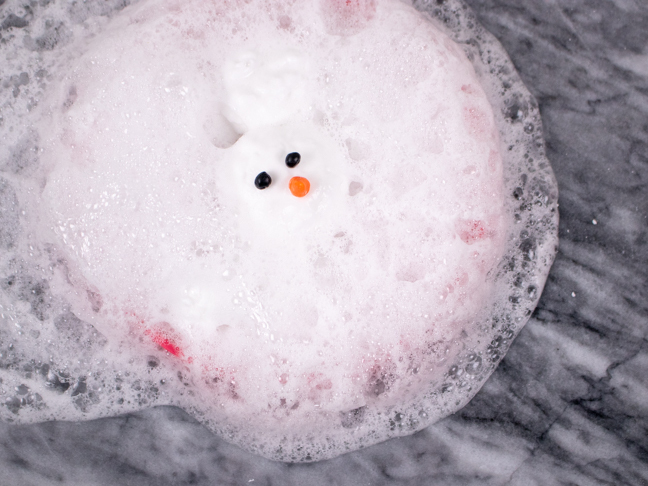 Do you want to build a (melting) snowman? Well, if your kids do, let them do it inside where it’s warmer! 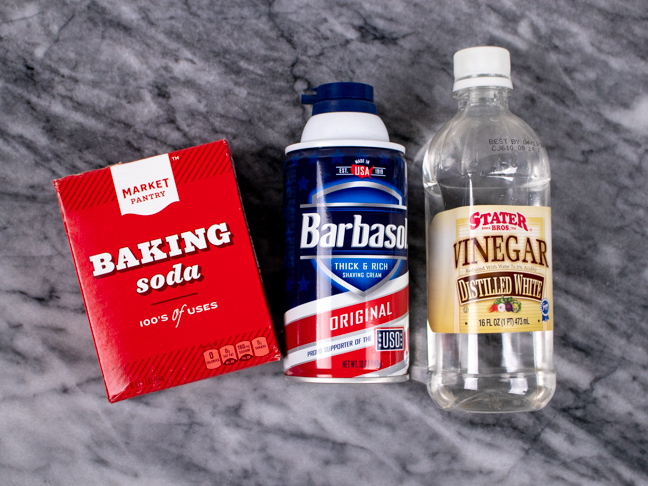 When it’s too cold to go outside, you can keep the kids entertained with this simple project using a few of your standard household supplies: baking soda, shaving cream and vinegar. 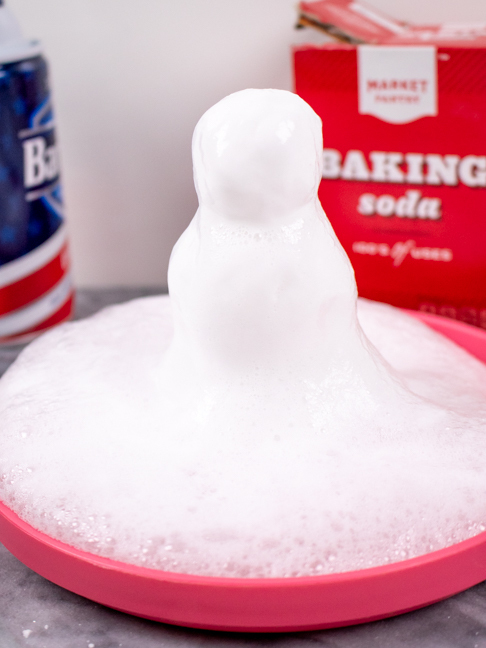 Combined, kids can make their own melting snowman experiment with a baking soda and shaving cream “dough” that dissolves in vinegar to create a fun-to-play-in mess of bubbles. This quick project is easy, inexpensive and is sure to capture kids’ attention for a while. 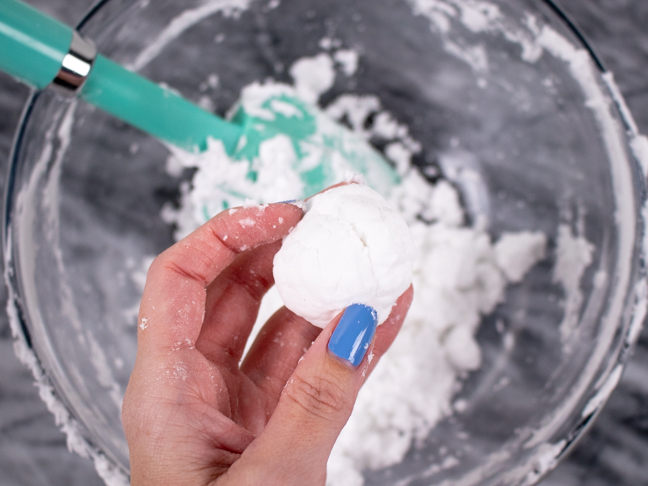 Note, shaving cream must be a foaming kind, not gel. 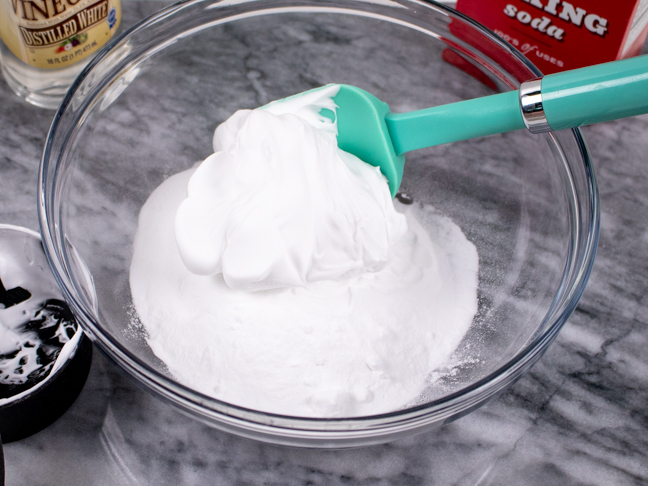 Step 1: Measure 1 part baking soda to 1-1/2 parts shaving cream and combine in a large bowl. One snowman was 1 cup baking soda, 1-1/2 cups shaving cream. 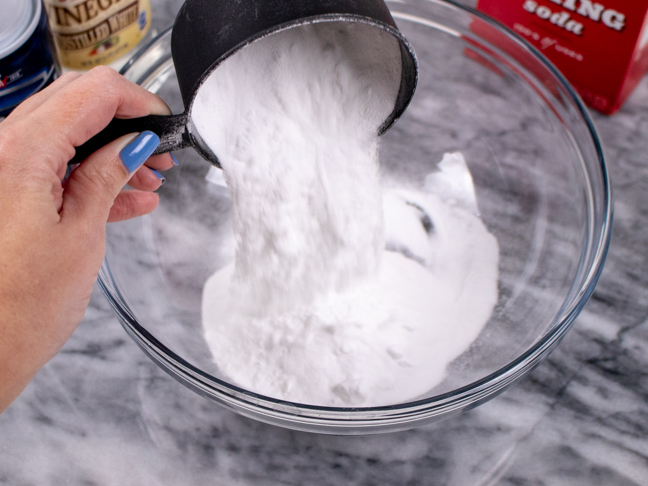 Step 2: Mix well with hands or a spatula (kids will love mixing and squishing by hand). 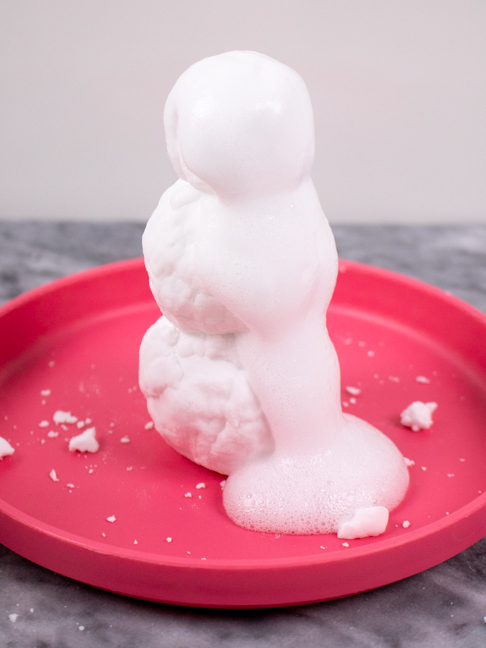 Once you can shape it, kids can form three balls to create the snowman. Step 3: Stack the balls like a snowman and place in a dish or tray with a lip. This will catch the vinegar and reduce the mess. Step 4: When you’re ready to destroy it, let the kids pour vinegar over the top and watch as the snowman melts into a soapy puddle (which they can also play in!) 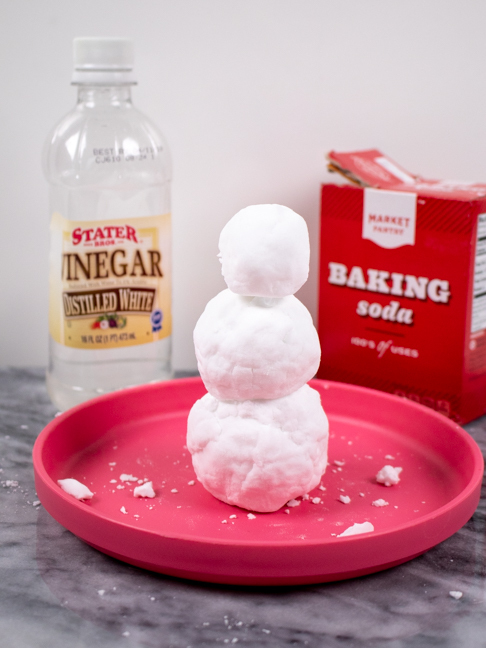 Depending on its size, it will take quite a bit of vinegar to completely melt the snowman. At the end I just added a clay nose and eyes to the remaining pieces in the puddle. They won’t stick to the mixture when the snowman is whole, but it definitely feels like you just melted Olaf from Frozen.